« Tough choice for your dog: medical or mental health? Blog post by dog behaviourist Laure-Anne Visele, The Hague: on the harm of dropping standards for assistance dogs. I was just called an ableist on Facebook for expressing my outrage at the on-line sale of service dog harnesses. It could be that I poorly formulated my post, so I am going to try in long form instead. This is the advert that triggered me. 7 euro for a service dog harness of any size or colour, on Wish.com. It casually popped up on my Facebook feed. That advert became a sore reminder of how easily you can pass your dog as a service dog. 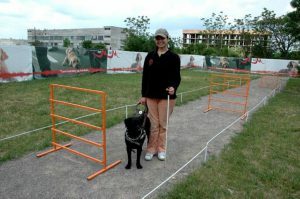 A client shows up to her first basic obedience class at our dog training school in The Hague (OhMyDog!) 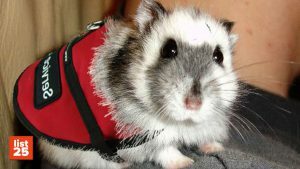 wearing a service dog vest. The dog couldn’t t sit on command and jumped on every passerby, but it took the bus to our school wearing a Service Dog harness. A candidate trainer wanted to bring his emotional support dog to work. I say no as our trainers are explicitly not allowed to bring their own dogs to the school. Either the dogs would be packed away somewhere for 2-3 hours, not providing much in the way of emotional support; or they’d be in full view of the other dogs in class, which is a massive disruption to our classes. He unconvincingly mumbled something along the lines of “It is a Service Dog”. When I enquired a little about the actual status of that dog as a service dog, it turned out he wasn’t anywhere near a service dog. He just hated staying home alone. As horrendous as separation-related behaviour problems are on dogs, lying about it isn’t the way to go. I get a mail titled “aggressive Service Dog” from a family who bought a random dog on Marktplaats (the Dutch equivalent of e-Bay) on the advice of their autistic child’s psychologist. The issue? Growling at the child. A friend who does not want her dog to travel in the hold when they fly back and forth to the US bought a Service Dog vest. Yes, I gave her a piece of my mind. A client who wants people to give their reactive dog space, so who had a Service Dog harness made. A client who insisted on bringing her barky, stranger-aggressive dog, with her to the office and who, when told this was getting to be a problem, threatened her office manager to have it registered as a Service Dog so they would have to say yes. A Service Dog is an animal trained to perform specific assistance tasks. Their behaviour must meet minimum acceptable standards if they circulate in the public arena: house-trained, not cause a noise nuisance, not aggressive, etc. Emotional Support Dogs provide the following service: emotional support. It can be a beneficial partnership for people suffering from anxiety-related mental health issues, for example. These dogs are not trained to perform specific assistance tasks. Nor do they enjoy anywhere near as much legal protection as Service Dogs. Service Dogs enjoy more legal protection and wider access because the standards for their behaviour is higher. Much higher than what the average dog can achieve. I haven’t owned a single dog who could be trained into a successful Service Dog. Can your dog stay focused with a screaming kid, a running cat, a passing skateboarder? Will he freak out with a sudden noise or if a dog gets too close? Can he ‘park’ himself quietly and durably in a restaurant? Guide dog organizations, THE specialists in service dog training, have been working on genetic selection programs for the ideal temperament and even these are far from 100% successful. Never mind picking a random dog on e-Bay because he looks cute. Sure rehomed dogs can make successful service dogs if they are temperamentally suited, but a lot of thought needs to go into the selection process. Training a reliable Service Dog to proficiency takes hours of training every week, perfected over months, sometimes years. Service Dog training organisations offer this type of specialist training, but it often costs a bunch. A single dog can be worth twenty thousand euros. Owner-trained Service Dogs: The owner alone is responsible for the training. There are huge differences in the training abilities of different individual organisations, so an organisation-trained dog is not a guarantee. Nor are owner-trained Service Dogs guaranteed to be failures. But the different formulas blur the legitimacy issue further. It’s not as simple as saying only organisation-trained service dogs therefore he is legitimate. Service Dog legitimacy: what is the legal situation? As far as I know, you are not allowed to ask for a certificate attesting to the dog’s status (in the US, at least). This is in relation to right to privacy. Nor does a handler have to carry the dog’s papers with them, or have the dog wear an identifying harness. If you have doubts, I believe you are allowed to ask what the animal is trained to perform. This seems a much bigger invasion of privacy, but maybe that’s just me. As a business owner, you are also allowed to refuse access if the dog’s behaviour is disruptive or “getting in the way of business”. So, behaviour can be a quick lithmus test of a Service Dog’s legitimacy. It also determines whether your refusing access is illegal discrimination or a reasonable request. 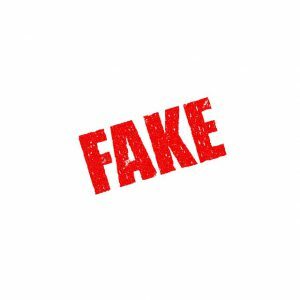 The blurry status situation has opened the door to all sorts of fraudulent claims and abuses. There is an increasing tendency for demanding access to poorly socialized, badly behaved, and poorly performing dogs by playing the Service Dog card. What outrages me about this abuse? 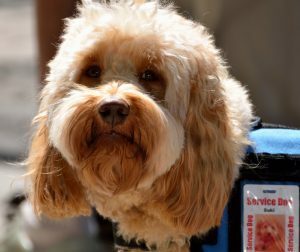 Handlers of bona fide Service Dogs are increasingly questioned and refused access because of it. People with no visible disability are particularly affected by this. Slapping a Service Dog harness on a dog willy-nilly is worse than taking a handicapped parking spot. I have so much respect for the legitimacy of Service Dogs that it felt to me as of Wish.com was selling driver’s licenses. 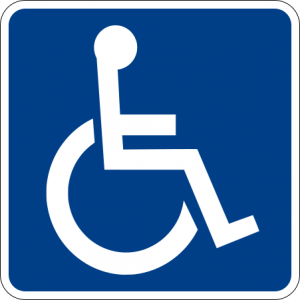 Disability sign: Courtesy of Ltljltlj. Made to the specifications of 2004 edition of Standard Highway Signs (sign D9-6). Public Domain. No modifications made. Fake service dog poodle: Courtesy of Petful. CC BY 2.0. No modifications made. Guide dog trainer: Courtesy of Jennifer Croft, USAID. Public domain image. No modifications made. This entry was posted in Dogs and society and tagged bona fide service dogs, dog behaviour the hague, dog behaviour therapy the hague, dog training school the hague, dog training the hague, fake service dogs, hondengedrag den haag, hondengedragstherapie den haag, hondenschool den haag, hondentraining den haag, service dogs. Bookmark the permalink. Post a comment or leave a trackback: Trackback URL. to look at the situation from the “Dark side”. Why are people lying just to bring their little 5-6 lb. ankle biter on VaCa with them? Who knows…lots of silly reasons I’m sure. But if they’re in their little carrier stuffed under the seat 9 out of 10 of their fellow passengers have no idea they’re even there. Oft times they’re easier to deal with than some human passengers. My ‘Outraged’ question is this, Since everyone pretty much knows that ESA is a farse and they illegally profile the dogs allowed to travel on board. Why should only little dogs be allowed? I’m moving to Honduras in 2 weeks and no way am I leaving my best dog behind. Most carriers won’t put animals in cargo since a couple of dogs died. They won’t let me just purchase a ticket for him. They’ve forced me into a corner and I’m coming out lying. I say, drop the emotional support scam and make it a requirement that all pets go to/pass obedience training if they want their dog to be allowed public access. And those dogs who are too big to fit into the allotted space its owner buys a second seat. That is my goal…purchase 2 seats without having to lie. 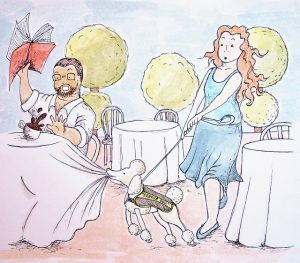 As far as restaurants etc…if someone is Emotionally stable enough to go out to eat, I doubt the dog is going to offer much support over dinner. As for myself, I have a problem with Vertigo, sometimes it gets so bad I can’t sit or stand I just fall over. It’s embarrassing and worse due to a bad knee replacement I can’t bend my knee so getting back up is difficult at best and very awkward. I can’t afford to get an already trained BMSA. And I wouldn’t want to give up my $5. SPCA Rescue at any cost. So, as they say “Some disabilities can’t be seen” And even though my Tanner isn’t a graduate of a special training school he already does most things I need help with and I’m getting most of the training skills for beefing up his resumé online, YouTube is especially helpful. But I don’t know if he’ll ever do all those quirky little things they teach “Real” service animals that get “Real” Certifications. He does provide assistance for me and when I’m feeling a little down he always knows and won’t leave my side. If I cry he licks the tears off my face…. We fit. Many many many thanks for your thoughts. “I say, drop the emotional support scam and make it a requirement that all pets go to/pass obedience training if they want their dog to be allowed public access. And those dogs who are too big to fit into the allotted space its owner buys a second seat.” I like that idea, and I think it has legs. Of course, like any idea, it might have its challenges, but I don’t find it fundamentally flawed. There is no way you would want to leave your beloved dog behind if you move country. You are indeed then backed into a corner considering the horrendous conditions in which many pets who fly hold have to travel. I say there is also an opportunity for change here: more transparency, and higher animal welfare requirements for air transport. The economic argument is also very tricky, especially that the legal status and legitimacy of even very expensive, fully-trained services dogs, is somewhat of a blurry issue in the first place. I think we have another opportunity here, to clarify the status of these different in law, and having clear and official standards of government-regulated training certifications – with subsidies for genuine conditions would help. But that is EXTREMELY ambitious indeed. It wouldn’t be so much of an issue if the gap in the law hadn’t been used and abused by the ‘ankle biters’, indeed. They make a mockery of well-behaved, (even self-)trained service animals who could use some tolerance.